Today I set myself the task of putting together the DVD racks that I bought a few weeks ago. Actually putting them together didn’t take long at all. It was all the other bits and pieces. I had to take all the DVDs and games out of the old DVD rack and surrounding areas. Then I had to take the old DVD rack downstairs. This is the DVD rack that is understandably described as a tower. It’s a good foot or two taller than me and really rather heavy to lift by myself! I got it downstairs though. 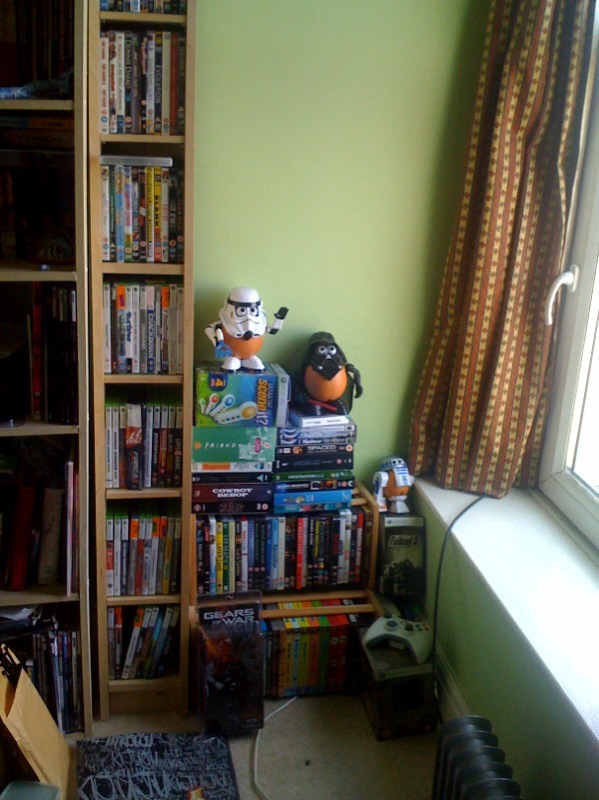 Oh, then I had to move my bookcase to make space for the two new DVD racks. That was a lot harder as it was much heavier and all I could do was push it. It didn’t really want to move which wasn’t helpful. Everything took a lot longer than planned really. It took me about 3hrs to be finished. Everything’s been moved in, the DVD rack downstairs is now nicely placed. Of course I’ve since realised that I really should have bought a third DVD rack as I still need space. Typical! 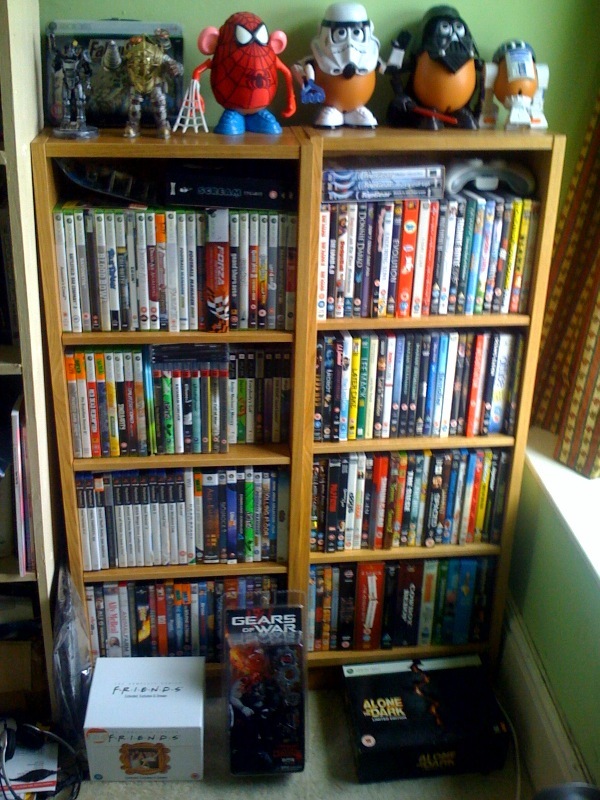 Even more typical was that these DVD racks only cost me £6 each when normally they’re £25. I’ll have to keep an eye out for future sales. Quite a productive afternoon then!